Please let me to start this post with a quick apology. It's been a crazy few months at work and in my personal life, and it simply hasn't allowed me much time or energy for my love of blogging. My next Disney trip is in TWELVE days, and I have a bunch of great ideas for future posts. Hopefully I'll get to do a quick pre-trip report before I leave. I was asked to write about my favorite World Showcase Pavilion. At first I was certain this would be an easy, quick post to write... then I started mentally circling the World Showcase, and I realized I was in for a hard decision! I love the World Showcase at Epcot. In fact, my dream is that one day I'll live close enough to Walt Disney World that when I have a rough day at work, I'll be able to drive over to Epcot and stroll through World Showcase in the evening to relax. Wouldn't that be amazeballs?? There's just so much to enjoy and take in when you walk around the World! 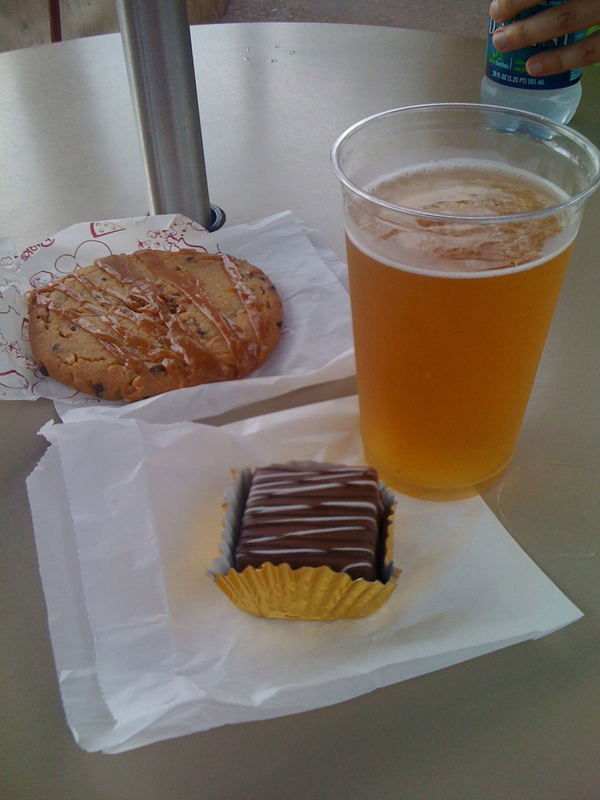 For starters, no trip to the World Showcase (WS from now on) would be complete without a stop at the Boulangerie Patisserie in France. The Napoleon and other desserts there are simply to die for! I happily skip meals just to partake in this bakery's treats. To get there, though, you've got to walk through Canada's beautiful landscape and the sights and sounds of the United Kingdom. I always feel like the UK is one of the neatest areas to go through as it feels so quaint and tucked away from the bustle of the park. Then it's just a quick walk over to the always fun to explore Morocco where you can often catch a glimpse of my favorite Disney prince and first animated crush: Aladdin. From there the shopping in Japan is a must do because there are so many items to see all tucked below Teppan Edo, the phenomenal Japanese Steakhouse. Before you know it, you're in The American Adventure where you can hear the amazing song stylings of the Voices of Liberty singing a capella in the rotunda of the main pavilion. Don't miss the show upstairs as it's a welcome rest from the heat and walking. Besides, it always brings a tear to my eyes! Oh the shopping in Italy is always an adventure as there are such neat little finds there. A couple of trips ago I found some gorgeous Mickey head stone magnets that are still some of my all-time favorite souvenirs. Germany used to be a country I skipped because the smell of sauerkraut was so overwhelming, but then they put in the Werther's run bakery, the Karamell Kuche, and I was won over! German Chocolate Caramel? Not me! China's shopping opportunities never disappoint, and they're one of the best spots to find a fan to help you beat the heat during the hotter months. Norway is one of the only two countries to have a ride in it, and it's a favorite of mine for sure! Aside from the claustrophobic queue, the ride is educational with a side of whimsy. I love that you talked about something you love in each pavilion. Each of them really does have a lot to offer. I love walking through Victoria Gardens at Canada - so beautiful! I agree it is hard to choose, I love all your tips and it is a great place to go and just walk around.